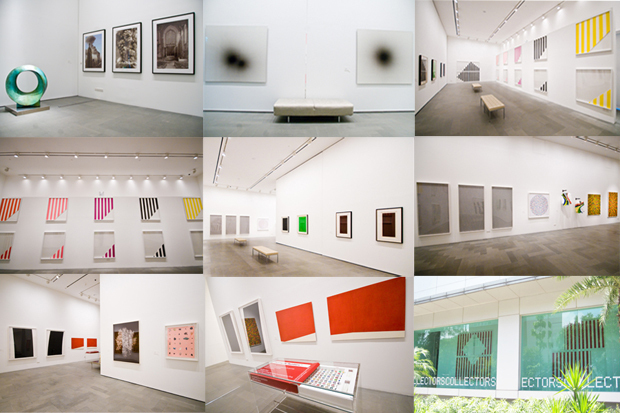 Untitled 2 (summer 2009) is the second installment featuring a selection of works by contemporary masters and current established as well as emerging artists. 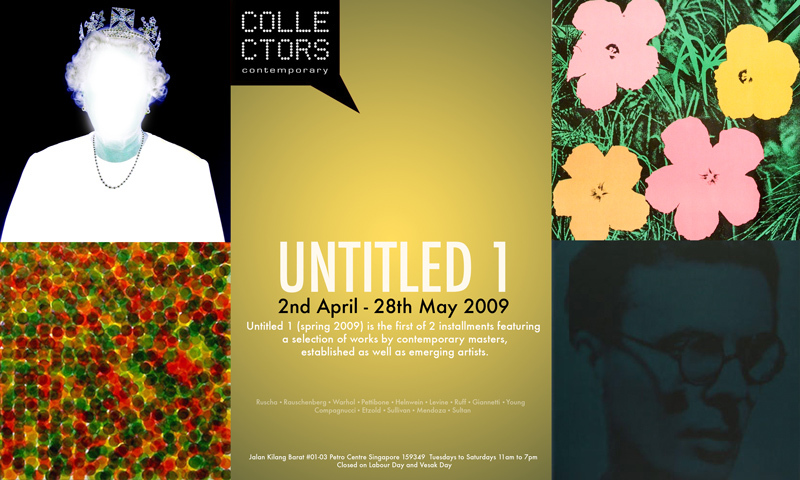 Untitled 1 (spring 2009) is the first of 2 installments featuring a selection of works by contemporary masters, established as well as emerging artists. Collectors Contemporary presents Falling Short of Knowing, a touring exhibition of the two-person show by Norman Mooney and Ran Ortner, in collaboration with Ch´i Contemporary Fine Art in New York. 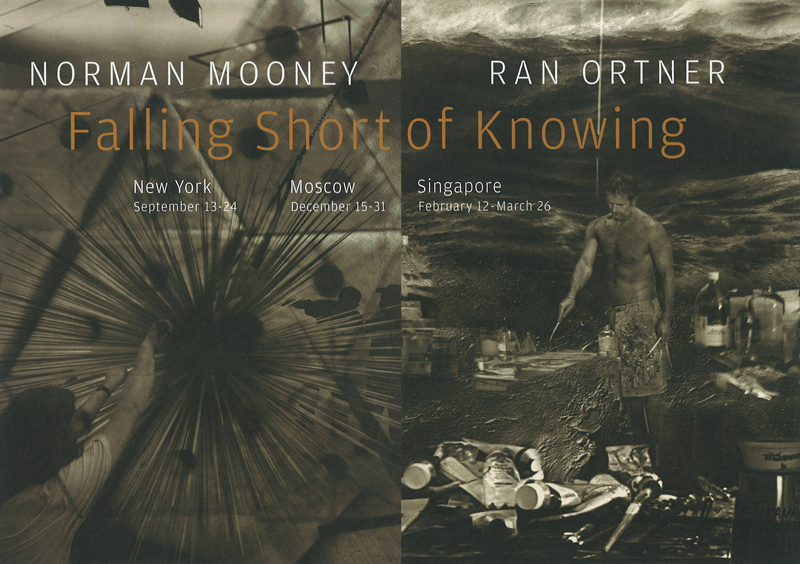 For Norman Mooney, this current body of work is the personal exploration of inner form and how this relates to the outer world. This is communicated through a very direct and immediate process of mark making. The direct engagement in this process enables the fundamental nature of the form to be realized. "I am looking to understand the idea of something much larger than ourselves, than our capacity to see, that is ever-present, persistent and constantly in motion. 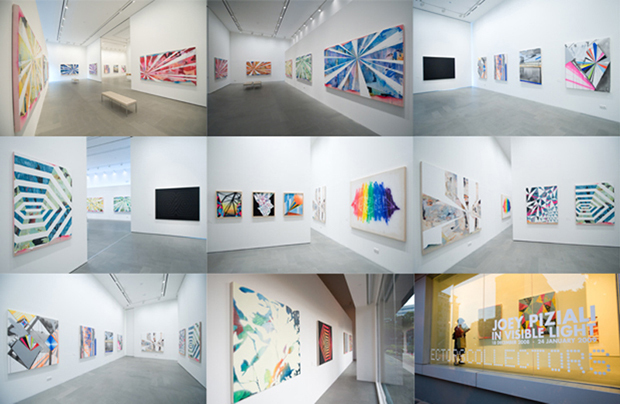 It is our intuitive sense of the whole and our complete inability to define it the work explores." 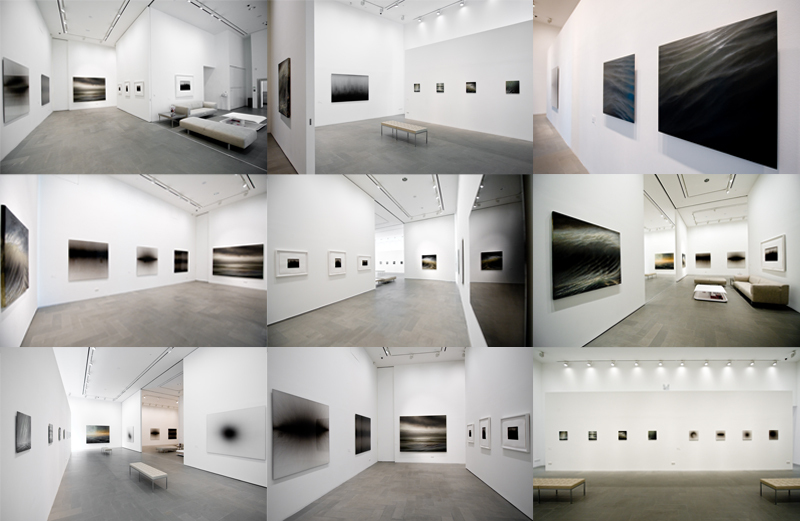 Ran Ortner´s work is driven by his visceral relationship to nature. "In my art, I contemplate the thing that never ceases to astonish me; the inherent marriage of opposites at life´s core. From the most tender brutalities to the most devastating sensitivities. These paradoxes register within me and I see myself within them. I am continually surprised by this reflection between me, as an individual, and the environment within which I exist. ´The blood within and the brine without´. The pulsing surge of my blood; the pulsing surge of ocean waves." Materials from urban landscape such as found billboards, latex paint, tape and rusted steel have been associated with ´spatio-temporal-matteric´ consciousness of Futurism or Nouveau Réalisme. However, Piziali’s adoption of these materials is neither through constructive collages of Futurism nor lacerated décollages of Nouveau Réalisme. Piziali’s materials emit a strong sense of individuality offering abundant melancholic and visceral interpretations, yet his works first and foremost emphasise the ´irreducible presence of the painting that refuses to be translated into any other form of expression´. 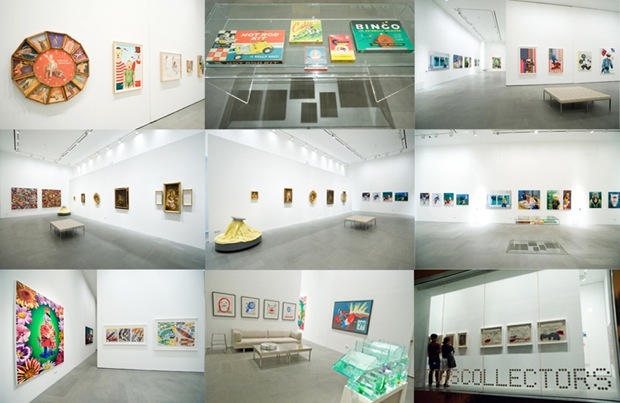 In conjunction with the first ever Kids’ Biennale, AND THE DISH RAN AWAY WITH THE SPOON presents works by various artists including David Hockney, Claes Oldenburg, Donald Roller Wilson, Tim Liddy, Davis & Davis, Al Souza, Crystal Liu and The Little Artists. This installment engages both the young and the old. Adults will enjoy the artistic genius of influential artists of our time whilst children will revel in the playfulness and colourful depictions of familiar images and characters. 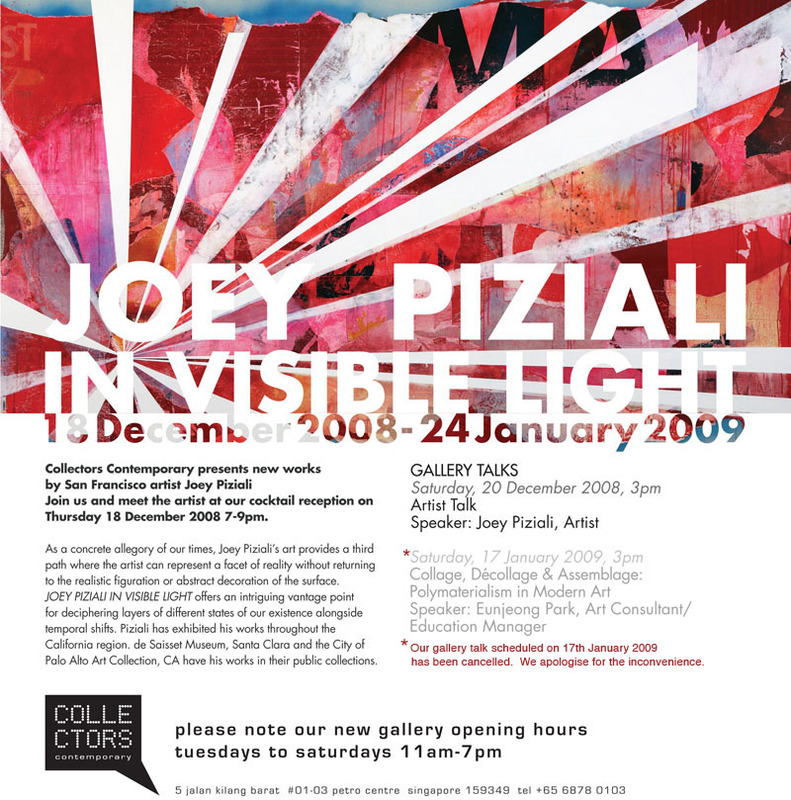 A satellite event for Singapore Biennale 2008, of which the theme is ‘Wonder’, Confabulation presents provocative works by artists who have explored different narratives of memories and perception. Confabulation will guide the beholder to the unfathomable realm of memories. 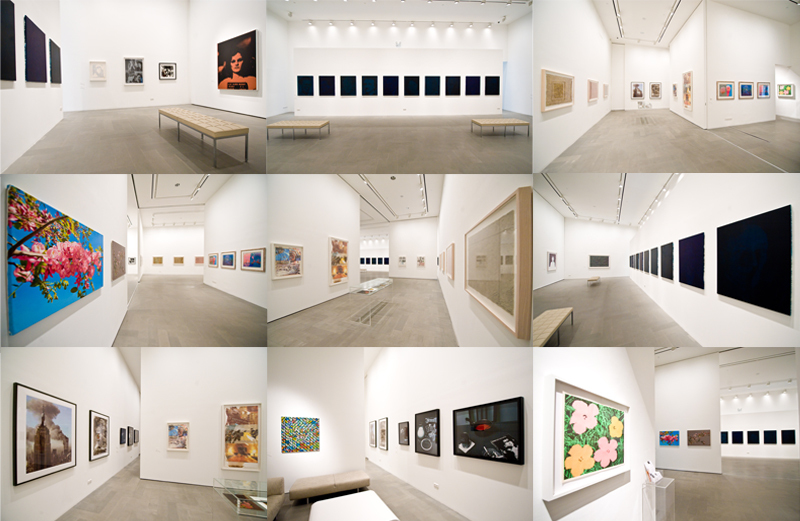 Beyond mere traces or remnants of persisting images from the past, an encounter with these works will challenge us to look back at evading moments within our own perception of ‘what is’ and ‘what was’. 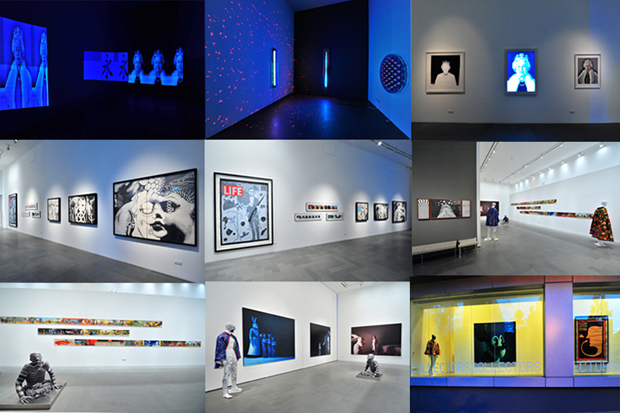 Art audience will have an exciting opportunity to view installations by UK light artist Chris Levine for the first time in Asia, together with his renowned portraits of Queen Elizabeth II. 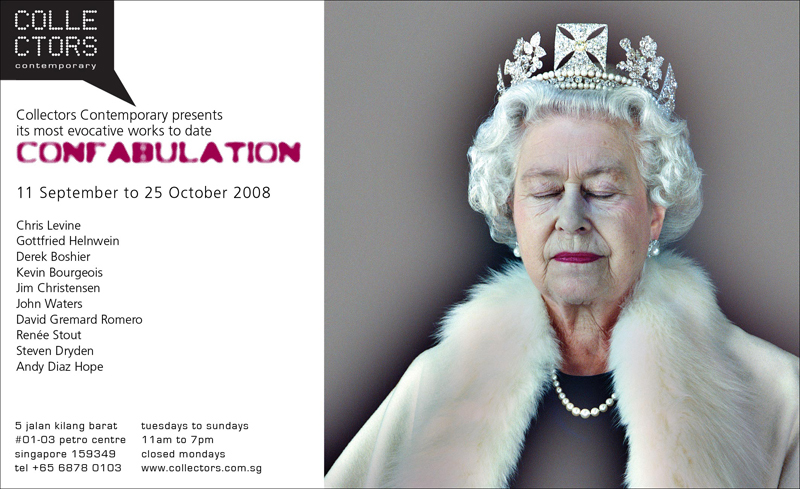 Levine will be in Singapore to personally install his works for Confabulation and conduct an artist talk on 13 September 2008. The balance between perception and conception, the perfect unity between a macrocosmic moment and microcosmic continuity has been fundamental basis of the traditional concept of the aesthetic experience. Kantian notion of the aesthetic pleasure in particular is the result of the perfect balance between imagination and understanding, in perceiving an object or phenomenon. 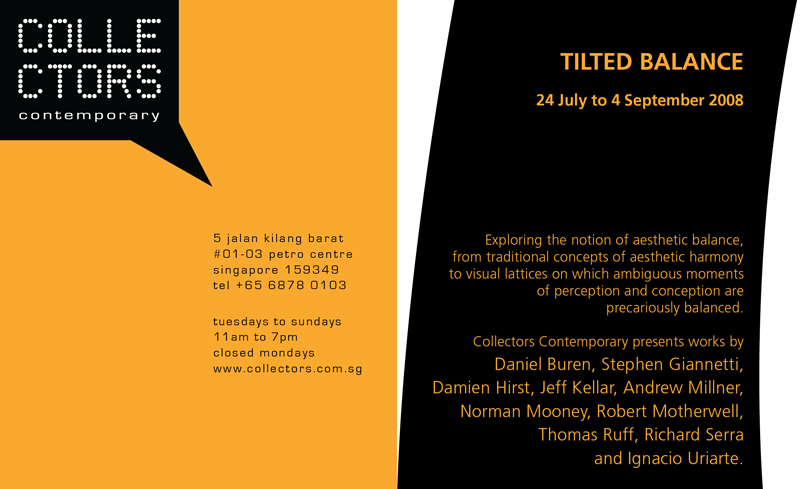 Tilted Balance presents various works of artists who have been exploring this notion of aesthetic balance. While some works convey traditional concepts of aesthetic harmony and balance, others create visual lattices on which ambiguous moments of perception and conception are precariously balanced.